While facing drug charges, you may be unsure of whether or not to accept a plea deal. 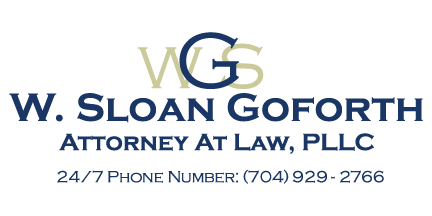 Although I, W. Sloan Goforth, Attorney at Law, am here to help you make this final decision, there are a few things you should consider before denying or accepting one of these deals. Once you have drug charges brought against you, there are usually three options from which you can pick. First, you can accept a plea deal immediately, if offered. Second, you can wait to accept a plea deal later. Last, you can refuse to accept the plea deal and allow your case to go to trial. Whether or not you may be offered a better plea deal if you wait to accept one closer to trial. How severe the penalties will be if you go to trial and are convicted of the drug charges you face. How a potential conviction could affect your reputation, finances, and ability to get a job. It is important to remember that you may not have complete information about what will happen in each separate situation. For example, if you choose to let your case go to trial, it can be difficult to determine what penalties the court will apply to your case if you are found guilty. If you were recently arrested for a crime, turn to me for assistance in determining what legal steps you should take next.